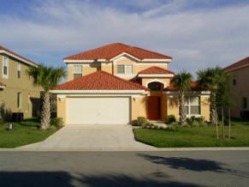 Villa St Vincent has 5 Bedrooms two having en suites. Master bedroom 1 has a 'king sized' bed, with an en suite that features a large 'tub' bath, and a large walk in shower area.. Master Bedroom 2 has a 'Queen sized' bed with en suite facilities. 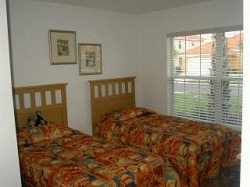 The remaining three bedrooms are one double and two twin beds. There also are two further family bathrooms. The villa has a large Family Area with large screen HD TV, and there is also a separate Dining Area which will comfortably seat 8 people. 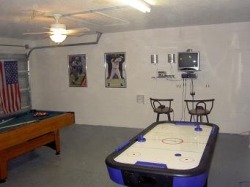 There is a fully equipped Games Room with X Box & games, Pool Table, Air Hockey and also Electronic Darts. The villa is fully equipped for all your needs, including free use of stroller, cot, highchair, stair gate and baby alarm. 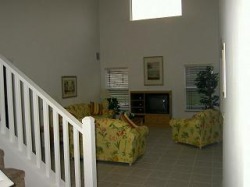 From the Kitchen/ Breakfast Nook (which seats 4), double doors (alarmed) lead out to a covered lanai and the extended deck area around our large private pool. Attached to one end of this is a Spa. The pool and spa can be heated during the cooler months (heating charges apply). The pool and pool area are lit for evening use. The pool area itself is protected by child safety fencing for added safety. 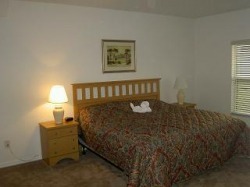 There is ample pool side furniture and free use of an electric BBQ is provided. The doors out to the pool area are alarmed for child safety. 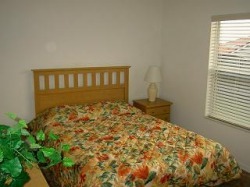 The villa is fully air conditioned throughout. The spacious Family Room is equipped with TV (cable connected), DVD Player (with a selection of films), and Video Player. 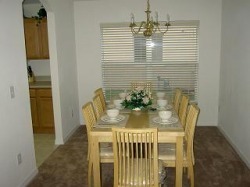 The Dining Room will comfortably seat eight people. 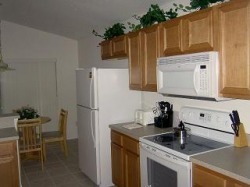 The kitchen is fully equipped for all your needs during your stay. The Master Bedroom 1 has a King sized bed with TV (cable connected), and DVD Player.